I am a great fan of the Harry Potter series by J. K. Rowling. Anyone who knows me or who has followed my Twitter feed or Facebook status updates, can attest to this fact. Perhaps more so than they would like. Ever since the third book, Harry Potter and the Prisoner of Azkaban, there has always been one aspect of Harry’s universe, an aspect I always considered could be a real possibility, that, more than anything, I wish I could experience. The longing has always been there, at the distant edges of my psyche, buzzing around my stray thoughts like a hard to catch ‘Snitch’. Not magic. Not the Time-Turner. Not even a draft of Felix Felicis. Nothing but the warm and slightly intoxicating taste of Hermione Butterbeer! Alas, I hear your cries of doubt, but fear not Millieunairs for the fabled drink of drinks does indeed exist. 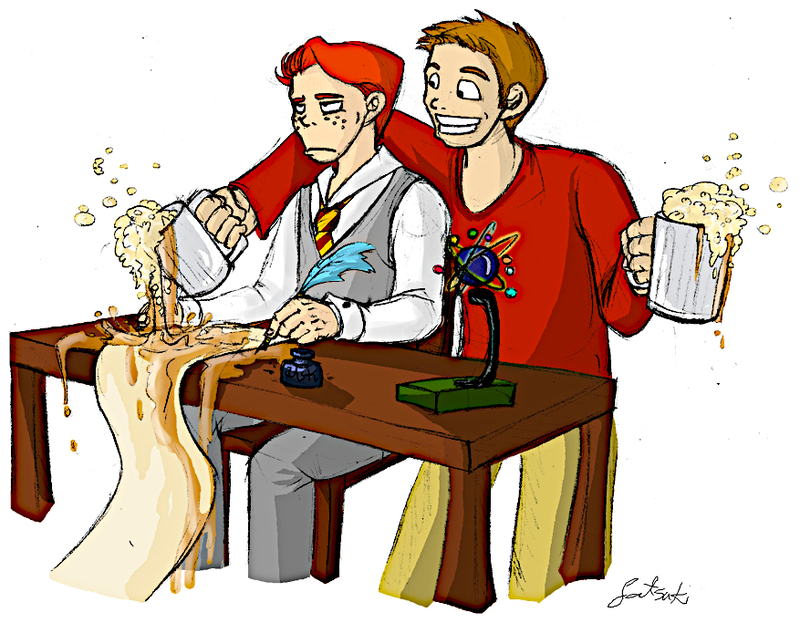 For the last two weeks, I have taken to scouring the Internet in search of the perfect Butterbeer recipe. Some have certainly come delectably close, but none, that I can tell, appear to have perfected a brew like Madam Rosmerta’s. That is, I dare say, until now! Through hours of gruelling brewing, I have managed to create, what I believe to be, the drink J.K. Rowling herself envisioned. Two variants, each unique, but both filled with delicious near butterscotch-like, tipsy house-elf inducing, goodness. Just in time too, for what better way is there to celebrate Harry Potter’s birthday (31st July) then with a mug of warm tingly Butterbeer? !